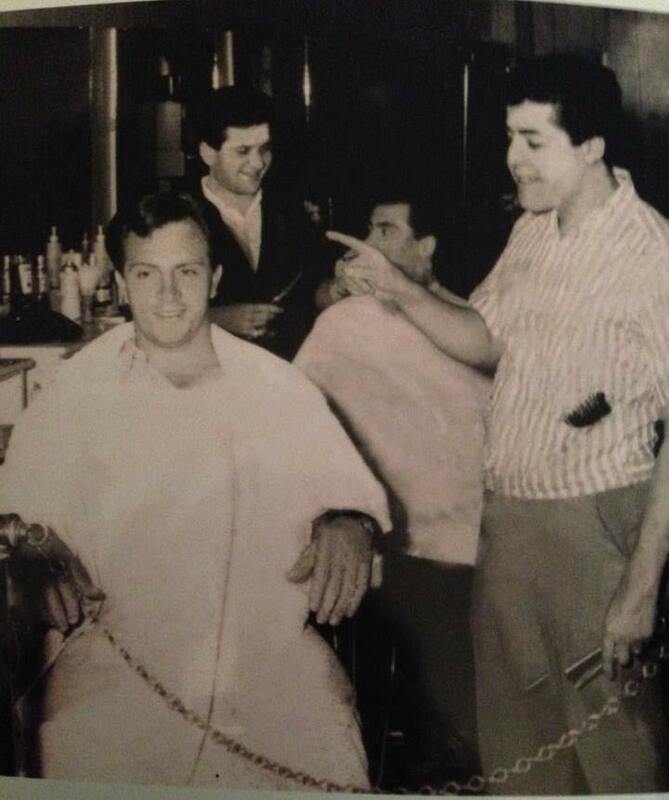 Thank you again to Johnny Hornsby for sharing this cool photo of Tommy DeVito, Joe Pesci, and Frankie Valli (and an unknown man) back in the day in a local barber shop, we assume–in the heart of Jersey! Does anyone have any idea as to when & where this photo may have been taken? I was thinking circa early ’60s, maybe before Sherry hit the charts, but I may be way off on this one! Also, any idea who the other guy might be in this photo? The guy pointing finger was Sal Valano,neighborhood friend. Even tough Frankie, Nicky, and Joe all had there licence in hair, the neighborhood guys knew and went to Joe Bono’s. Its what i remember as a young kid. Patti, do you remember a shop on Franklin Street near So Franklin Ave, a little closer to Stephen Crane Village? I have a photo of a building which Walt Gollender identified as a place where Pesci used to cut. I imagine there were a few places over the years. Thanks so much for sharing your memories Patti! The fourth man in the photo is my grandfather, Salvatore Mangiavillano. The shop was owned by Joe Pesci and my grandfather. I have a matching phot of them both cutting behind them. Email me and I can send you the other photo. My grandfather is still cutting hair and was also an entertainer way back in the day. He has know Joe Pesci and Fankie Valli for years. His shop is called Poway Barber Styling.